and selling all types of local arts, crafts, jewelry, skin care products, perfumes, designer accessories and souvenirs, mix here with helpful and informative guides offering tips on what to see, do, taste, and experience during port calls. For entertainment, The Cruise Village features live music with Creole dance performances at regular intervals. Tastings of Martinique’s legendary rhum agricole brands, the only rums in the world that carry the prestigious A.O.C. seal of exceptional quality, are also on offer. 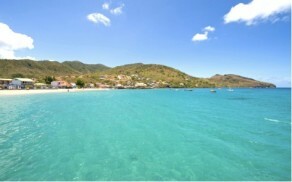 Discover Martinique’s beautiful South and spend the day at the famous Pointe-Marin Beach. Outstanding landscape views are guaranteed! 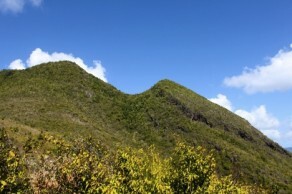 Depart from the capital city of Fort-de-France to access the South of Martinique. First stop will be at Le Marin, where you can experience its bustling marina, which is one of the island’s best. Highlights of the day will include soaking up the sun and enjoying the crystal clear warm water. You’ll return to the ship via the scenic Atlantic coast road, where you’ll pass sweeping landscapes, banana plantation valleys and serene ocean views, all of which will be explained in detail by your local guide. which includes La Pagerie, Empress Josephine’s former home and now a museum. After passing by scenic roads, you will visit an exceptional Plantation where Presidents of France and the United States (for example, President Bush and President Mitterand) met in 1991. First of all, you will visit the marvelous botanical garden which showcases 16 acres boasting ponds, a park, tropical orchard and remarkable trees representing more than 300 identified botanical species. A guide will tell you about the history of the industrial past through visiting the old distillery and seeing an exhibition of the machines used as well as how the rum is manufactured. The interior of the four aging cellars is visible. Visitors can sense the scent of wood and alcohol, and admire the pyramids of drums where rum is slowly aging. You will finish your visit by a rum tasting. Discover the famous bat cave and swim among angelfish, parrotfish, and many others at Anse Dufour. Mangroves are a natural habitat for a large part of Martinique’s fauna. You will paddle through a forest of high roots, creepers and flowers. Mangroves are a natural habitat for a large part of Martinique’s fauna. Learn all about the palétuvier, a tree endemic to the region only growing in swamps, and paddle through a forest of high roots, creepers and flowers. Discover the Depaz Distillery, one of the oldest of the island and Saint-Pierre, city of arts and history, named the little Pompeii of the Caribbean. Discover the Depaz Distillery, one of the oldest of the island, located right under the now-dormant Mount Pelée volcano, with a gorgeous view of the bay of Saint-Pierre, the former capital city of Martinique. Make sure to taste the flavorful rum of Martinique, the only one in the world which has been awarded the French Appelation d’Origine Controlée label (AOC), which rewards the finest wines, spirits and cheeses. Last but not least, is Saint Pierre, city of Arts and History and infamously dubbed the little Pompeii of the Caribbean after being completely destroyed by the eruption of the Mount Pelée volcano in May 1902. Not to be missed: the museum of vulcanology, tracing the city’s history with artifacts dating from the early 1900’s. 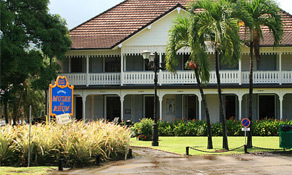 This tour combines a visit of la maison du Bèlè and the St-James rum distillery. Located in the hills of Sainte Marie, la Maison du Bèlè (The House of Bèlè) is named after one of Martinique’s traditional dances, the Bèlè, which is actually a mix of dances and music, drums and voices, originated from Africa and Europe. Bèlè is also a way of life, a series of values such as respect, solidarity, and sharing. Discover the history of Bèlè, its main characters and families through the permanent exhibit, and practice your moves to the rhythm of the drums! The lesson ends with a tasting of traditional food and drinks. 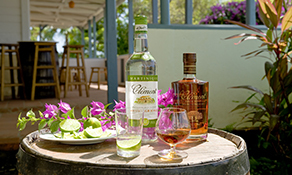 Visit the rum distillery; discover the fabrication process of Martinique’s famed agricole rum and finish, of course, by a tasting. 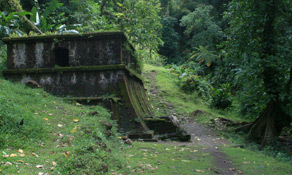 The plantation, which dates all the way back to 1643, is among the oldest in Martinique. Low-impact walking trails wind throughout the property in the shadow of the towering Pitons du Carbet, affording visitors the chance to easily explore wildlife from Australia, Africa, South and Central-America in a truly singular setting. 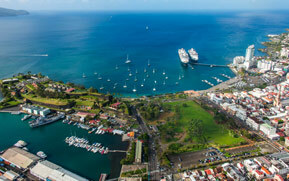 Visit Fort-de-France, the capital city of Martinique, where there are countless must-see cultural attractions and more. Fort-de-France’s bay is among the world’s most breathtaking sights. In fact, it is now part of the World’s Most Beautiful Bays Club. Here you’ll visit the traditional market filled with fruits, vegetables, spices and souvenirs. You’ll also visit the famous La Savane Park as well as other public gardens. There is so much to experience in downtown Fort-de-France, from the classified monument Fort Saint-Louis to the Atrium cultural center to the Saint-Louis cathedral built in 1895. There’s also the Schoelcher Library, which originally acted as the Canadian pavilion at the 1898 World Expo in Paris. It was built by Henri Pick, a contemporary of Gustave Eiffel.You can also visit the Town Hall and Municipal Theatre before taking a break to enjoy some fresh local juice or mineral water. You can also check out past the courthouse with its statue honoring abolitionist Victor Schœlcher. Explore this amazing nature estate featuring nearly 4 miles of walking trails through the rainforest – a great activity for all ages. 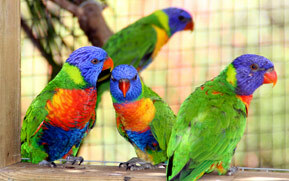 Come here to experience the incredible biological diversity of a genuine Tropical Island. From the bottom of the sea to the top of Mount Pelée, here you can truly surround yourself in Martinique’s natural environments. End your visit with a hands-on experience at the visitor’s pavilion, which houses an observatory and a gift shop featuring local flavors and delicacies. Savor the many flavors of Martinique by discovering the St-James rum distillery, with a creole lunch and a visit of Saint-Pierre. Going to the Northern Eat coast of Martinique, in the town of Sainte-Marie, discover the St James Rum distillery, founded in 1696 by Father Labat, a catholic priest who introduced the distillation process on the island. Make sure to taste samples at the end of the visit. The next stop, in Morne Rouge, will have you savoring the many flavors of Martinique during your Creole lunch at a typical restaurant. 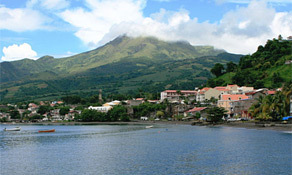 Last but not least, is Saint Pierre, city of Arts and History and infamously dubbed the little Pompeii of the Caribbean after being completely destroyed by the eruption of the Mount Pelé volcano in May 1902. 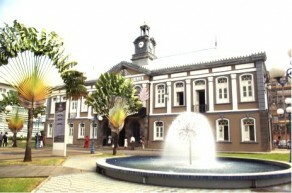 Not to be missed: the museum of vulcanology, tracing the city’s history with artifacts dating from the early 1900’s. Going back to Fort-de-France, make sure to snap pictures of the gorgeous view of the hills, cliffs, and picturesque fishermen villages along the Caribbean coast. Discover the Didier Fountain, which will be your point of departure for an exceptional hike through the tropical forest of Martinique. 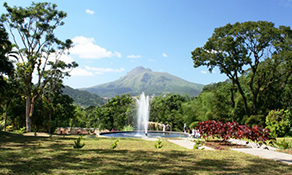 In the outskirts of Fort-de-France, the capital city, discover the Didier Fountain, a water source providing the only naturally sparkling water of the Caribbean, which will be your point of departure for an exceptional hike through the tropical forest of Martinique, with a multitude of botanical species such as ferns, mahogany trees, Balisier flowers and many other endemic species. Make sure to dip in the Absalon waterfall for a refreshing bath after this 2-hours hike. 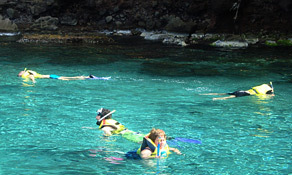 Embark for an off-the-beaten-track experience that will take you through the luxurious vegetation of the island. 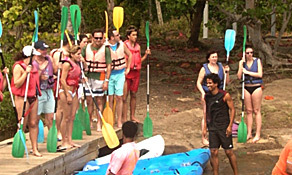 Embark for an off-the-beaten-track experience in the heart of Martinique – so to speak! This 4X4 excursion will take you through the luxurious vegetation of the island, and have you crossing banana and sugar cane fields. The adventure ends nearby the river, in a peaceful resting area in the middle of the rainforest, for a refreshing dip to cool off the heat. Here you will learn about the history of Bananas on the island, as well as the production and healthy benefits though an interactive tour including a visit to the museum and its boutiques. 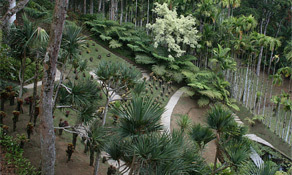 Enjoy a nice promenade through the park that boasts 44 banana species as well as tropical flowers. This is a great outing for all ages! 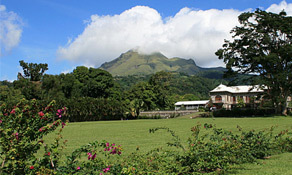 Created in 1996 on the site of a working plantation estate, the museum is nestled in the heart of a banana plantation in Sainte Marie on the North Atlantic side of Martinique, just 22 miles from Fort-de-France. 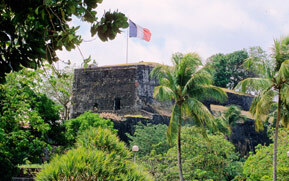 Visitors can arrange for guided tours of the city’s newest attraction (also one of its oldest structures), Fort Saint-Louis, at the Fort-de-France Office de Tourisme information kiosk. Originally carved from a rocky promontory jutting out into The Bay of Fort-de-France, Fort Saint-Louis has expanded in concert with The City of Fort-de-France since its initial opening in 1640, eventually covering an area in excess of 473 612 square feet. At its highest point, the fort now towers nearly 200 feet over the city and the bay, making it one of the first things cruise visitors see when approaching the city aboard ship. Spend the day at Grande Anse, a beautiful beach for spotting sea turtles. You will board a motor catamaran equipped with a submarine underwater vision system. You’ll cross the Flemish bay, and then sail the coast nearby the Ramier Islets and the Bat Cave. Along the way, you can take in the beautiful marine and the incredible biodiversity. Your next stop will be at the Grande Anse, after passing by the Salomon cape. There you can meet the local marine turtles, and soak up some sun at the beach. 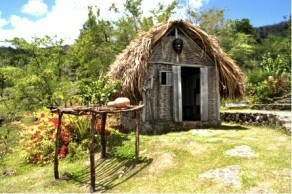 On the way back, you will taste some local pastries, fruit juice, and the traditional rum punch. 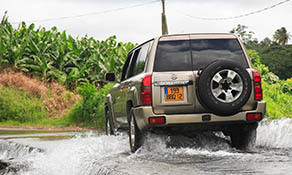 To explore the island further, take a ride in a 4×4 vehicle! On the itinerary, you’ll visit a distillery featuring Martinique’s legendary rum, stop by a picturesque fishing village, and experience some of the Trois Ilets traditional pottery. The first stop is at Trois Rivières distillery,where you will learn about the making of Martinique rum, which boasts the French AOC recognition label. 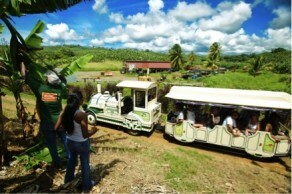 Here, discover the rum of Martinique for yourself with a tasting before proceeding to Le Diamant Village. You will pass through the small fishing village of Petite Anse, where you’ll stop to learn about some local fishing techniques. You will end with a visit of Trois Ilets to experience the Pottery village. A day spent at the Chancel Islet is the perfect way to spot iguanas in their natural protected environment. You’ll depart from Fort-de-France by bus, and will travel along the Atlantic Coast on the east side of Martinique heading towards Le Robert. You will sail out of Robert bay, which is well known for its numerous islets along the coral reefs. While exploring the Chancel Islet, you will be able to spot the local Delicatissima Iguanas. You will learn about the origin and lives of these unique creatures. This iguana species has been listed by the International Union for Preservation of Nature. After this exceptional discovery, you can enjoy a dip in the lagoon, sips of rum punch and gazing at the crystal clear water. 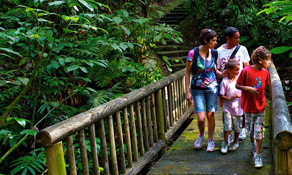 This tour combines a visit of Habitation Clément and Balata Botanical Garden. The main house of this 17th century Creole plantation housed in 1991 a meeting between then-presidents of the USA, M. George Bush, and of France, M. François Mittérand, and is a faithful reminder of Martinique’s rich heritage, with its antic furniture and artifacts. Not to be missed during the tour: the garden, the path through a sugar-cane field and the building housing the former rum distillery, now transformed into a museum showcasing the fabrication process of Martinique’s finest drink. After 20 years of collecting species, landscaping and ground preparation, Jean-Philippe Thoze opened the Balata Botanical Garden to the public, unveiling a multitude of plants and flowers harmoniously arranged, an explosion of colors set in the green hills overlooking the capital city, Fort-de-France. The garden now also features an aerial wooden bridge, allowing a better glimpse of the gorgeous view. A recreation of a former Maroons village, where escaped slaves from sugar cane plantations once lived, Slave Savannah welcomes you to experience their culture and heritage. This trip to the past will lead you to discover the daily life of the ancestors of Martinicans, demonstrating their feeling of resistance and their struggle. Here you will learn about the local medical plants, from which leaves and roots are still used to cure all kinds of diseases. You will also discover “La Case de manioc” with a demonstration of manioc based dishes being prepared to give you a taste of the authentic cuisine of Martinique. Please check with your Cruise Line.